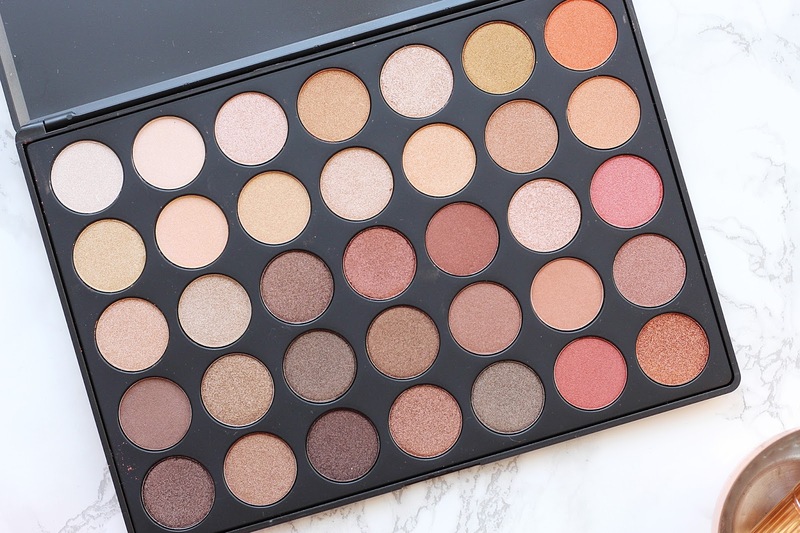 I'd heard a lot of hype surrounding the brand Morphe, so bit the bullet and decided to invest in the 35OS palette. The amount of palettes they have available is a bit overwhelming, and as they don't have any physical shops in the UK it's not very easy to look at the shades available. However, after a little bit of research I opted for the 35OS palette. The 35OS is a gorgeous palette with a mix of warm shimmery shades - browns, golds, oranges and coppers. I'm all about the shimmer when it comes to eye shadow and wanted to add some warmer shades to my collection, so this was definitely the palette for me. In a sleek black palette, the 35OS features 35 super shimmery shades, which for £23, I think is really reasonable. As soon as I tried the first shade I was seriously impressed - each shadow is incredibly pigmented, buttery soft and blends beautifully. 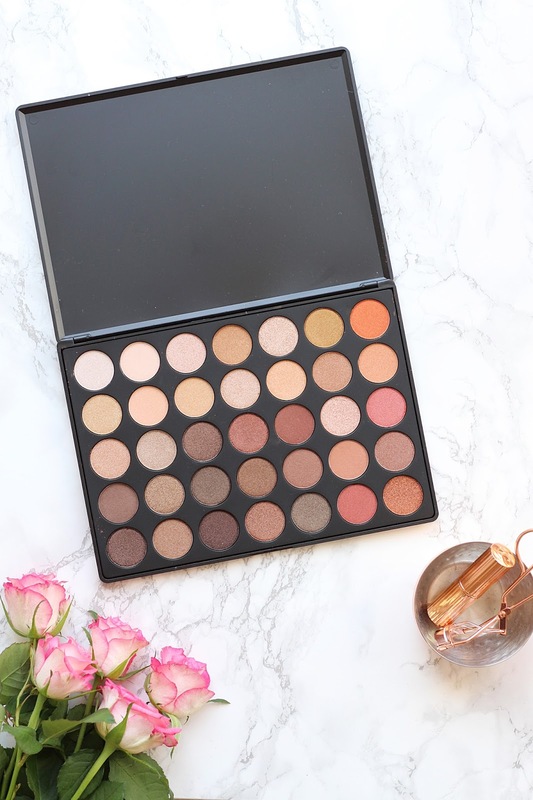 I'll be honest - since getting this palette it's been the only thing I've used for eye shadow - all the shades are just so versatile, such a pleasure to work with and there is a good enough range of colours to create so many different looks. I always got complimented on my eye shadow whenever I use this palette which I think speaks volumes. I am absolutely in love with it and would definitely recommend it to anyone looking for some incredible eye shadows that are great value for money. Considering one MAC shadow (which I think they're on par with, if not better than) is around £11, this is a total steal. 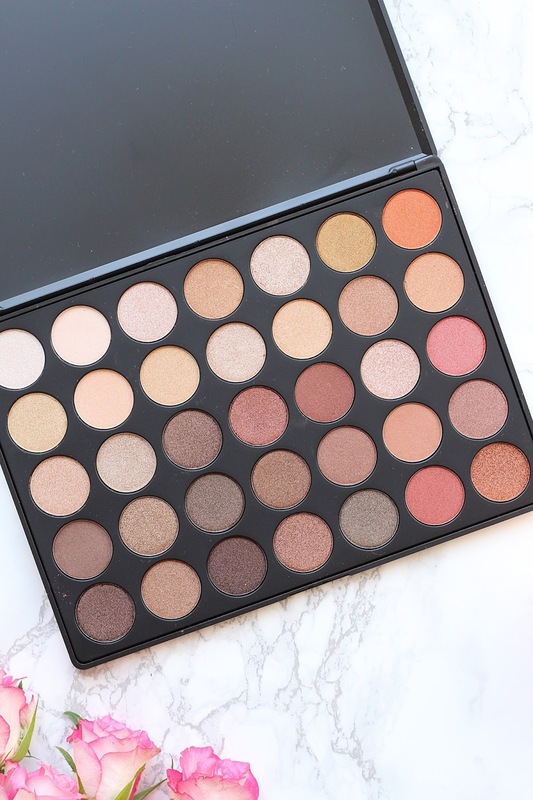 Have you tried anything from Morphe? Let me know your thoughts!